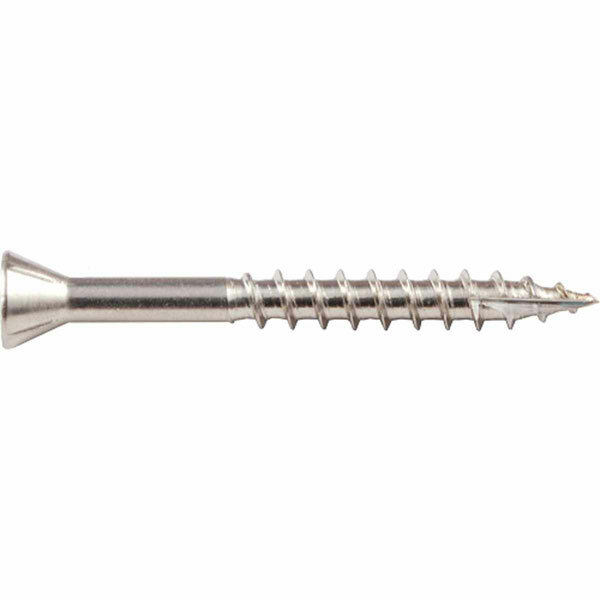 Silver Star 305 stainless steel screws for use with all chemically treated materials, coastal applications and all applications which are exposed to weather, high moisture, and other caustic conditions. Manufactured from the finest stainless steel alloys, it's unaffected by tannic acid and other extractives found in cedar and redwood. Experience our ease of drive with benefits such as a self taping type 17 augur, cutting nibs, knurl and more. Great for seacoast applications, docks, decking, fencing and any application where the most resistance to corrosion is needed.